#NaPhoPoMo Day 22: A Self-Cleaning Roomba? — Colin Angle, CEO, iRobot Corporation. I took my mom Target shopping yesterday and we took a shortcut through the toy department. 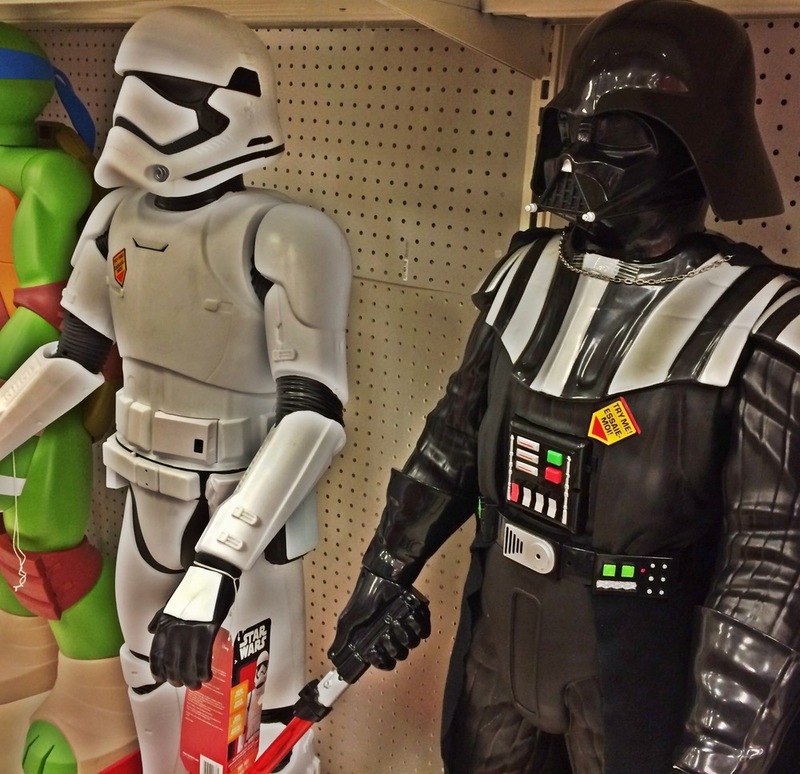 I've been out of the toy loop for such a long time that I have no idea what these four foot tall Ninja Turtle, Storm Trooper and Darth Vader pieces do. Halloween is over, so they're not costumes and they're way too big to be piggy banks. They only possibility I can come up with is that they are Roombas for kids. Am I right? Such a brilliant way to involve them in housekeeping. I love my Roomba, don't like cleaning it. So if this line of robotic helpers are self-cleaning and get rid of their own waste, I'd go back and get myself a Storm Trooper. There I was in November of 2010, trucking down Alii Drive in my gold Tacoma, in love with my daily commute beside the ocean. I then lived in a perfect two-bedroom condo, not far from the shore and crossed over this little bridge every day. I now live in a house with an expansive view of this same shoreline, but this drive remains my favorite. After all, it got me here. Photo: Leica V-Lux 20, no filters. 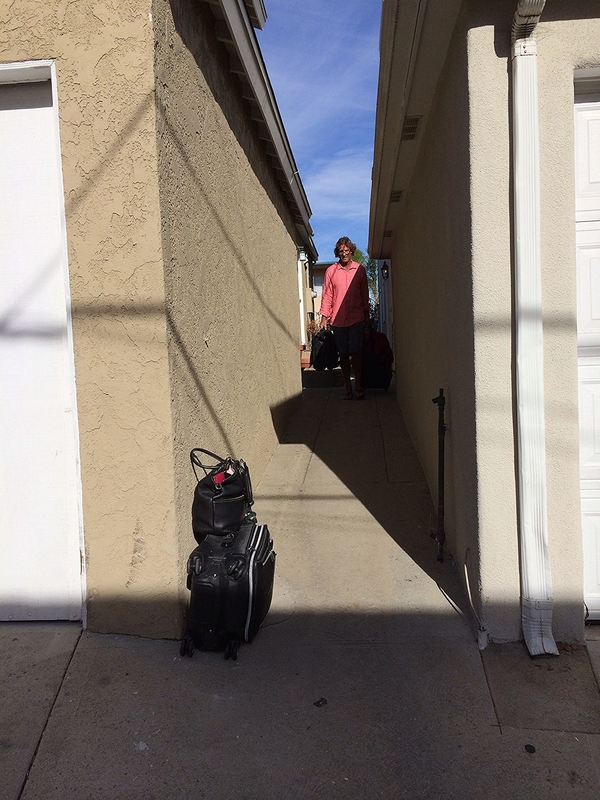 Two years ago, I arrived in LA around 10pm on November 4 and by 10am the next morning, Tall Guy and I were supposed to be on a plane to Mexico to attend a wedding. This shot was taken at 5:31am on November 5, as we packed for a week long trip. Thank goodness my phone has a memory and I still have my 2013 planner. It's all coming back to me now. We were scheduled to be picked up by a shuttle service, along with the bride and groom. The pick up time came and went and several curbside phone calls later, both parties opted to drive separately to LAX. We had a plan: Tall Guy would drop me off with the bags and I'd get us checked in while he parked the car. The plan failed. I was told that we might have a chance if the two of us checked in right then and then ran to the gate, but if we had to wait for Tall Guy, no chance. The bride and groom made their flight because there was a family member, already checked in, who jumped in their car and parked it for them. took our first Uber ride, and flew to Cabo San Lucas. We stayed at the Esperanza, where the wedding was magical, as planned. Lesson: Whether something's planned or unplanned, it's all a part of the trip. Decide to enjoy it, and you will. Photos: all taken on my iPhone 5s.